Having the right products in stock and the ability to mobilize quickly to get those products to customers on tight schedules is often the measure of success in any business. It’s no different for suppliers of industrial pipe, fittings and flanges. In our business, fortune favors those equipped to quickly respond to customers’ ever-changing needs. But this is as much a story of diligence as it is of speed. 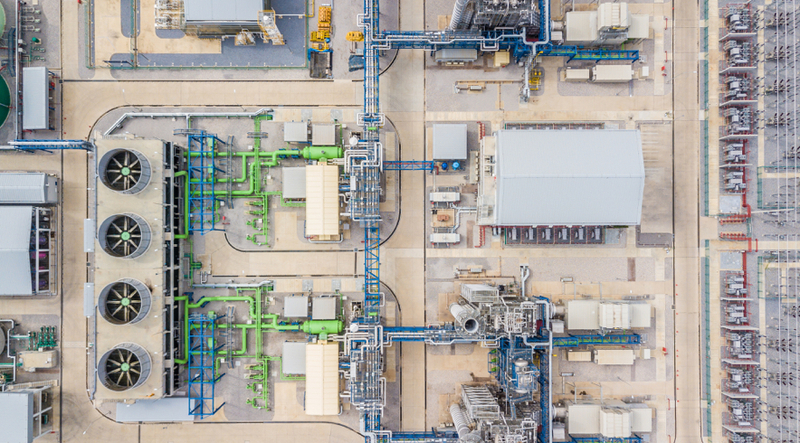 By the time a major producer of alternative fuels committed to building a new plant, our team had already put in a couple years of work behind the scenes. Our customer planned to build a new plant in the western U.S. that would synthesize biomass into aviation fuels. The process is cheaper and more environmentally friendly than refining crude oil and diverts waste otherwise destined for landfills. During a project planning stage that lasted two years, the firm was in touch with American Piping Products and other suppliers in hopes of finding a partner to provide the materials for the plant’s extensive piping systems. With over $5 million allocated for piping alone, this was a substantial project. We kept in close contact with the customer, assuring them that we would be ready when they were. The customer was ready in the autumn of 2018. Their order to proceed was accompanied by a line-by-line list of every item they needed. The list of 500-plus SKUs included pipe, fittings, flanges and other products ranging from rudimentary carbon steel to stainless steel and even specialty Alloy 800 pipe—a product so rare only a couple mills in the world make it. Our job was to locate everything on the massive order, verify it met the project’s stringent requirements and then organize and ship it to the site. Synthesizing garbage into cleaner-burning fuel is a multi-step process requiring a wide variety of product types and materials. We had to ensure certain materials—like stainless steel and specialty alloy products—were segregated from more common carbon steel products to avoid contamination. An order as large and diverse as this one meant our team had to study a long list of requirements and verify that every single item we shipped matched the specs the customer provided. The customer had extensive needs in terms of cutting, beveling, coating, stamping and bundling the products they ordered. American Piping Products offers all these services and more in its Houston and Chicago supply yards. This was a key factor in the customer’s decision to purchase from American Piping Products. Time was of the essence. The customer’s construction schedule demanded that certain products be available by certain dates. Late deliveries would mean paying workers to wait. Our logistics team stepped up, organizing delivery of materials according to the customer’s construction phases. Buying and selling steel piping products is a lot like any other commodity business. Prices fluctuate. Margins are thin. The future is uncertain. A lot of buying is done on price alone. But price is not always the deciding factor. Relationships matter. And in the case of this project, our existing ties with this customer worked in our favor. Having a large majority of the products they needed in stock helped. Offering the lowest price for many of the products they needed helped, too. But that ultimately wasn’t why the customer chose to work with us. They worked with us because they trust our talented sales staff. Our team’s diligence and attention to detail exceeded the high standards they apply to those with whom they do business. Working late nights doing the legwork is sometimes tedious and cumbersome. But it also results in the kind of partnership we enjoy with this customer. And we know they’re not done building, so when they call back, we’ll be ready. Are you considering a piping project? Is working with a supplier you trust important to you? Find what you need by downloading our product catalog. Then, meet our sales team—it’s one of the most experienced in the country.